Love him or loathe him, but you certainly can't ignore him. 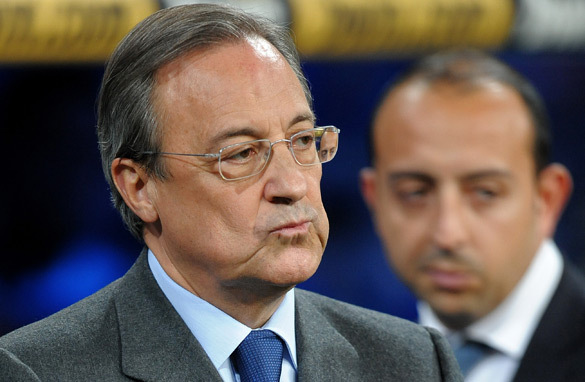 Florentino Perez is "Mr Real Madrid" and his name has and will always mean business. Perez is the personification of Real Madrid's ambition to be the best team in the world. On and off the pitch he has been a winner. This is a man who owns the largest construction company in Europe and has spent more money on football players than any other club owner in history. This season's Real Madrid squad has been nicknamed the "Florenteam". There's a reason for that. Perez is the only reason why Real landed the talents of Kaka, Cristiano Ronaldo, Karim Benzema and the rest of the player captures during the preseason. The previous president, Jose Ramon Calderon, was there for over two years and he couldn't do it. He said he would bring in the stars, but failed. So what does Perez have that no-one else can boast? Well, he's got the name and he's got the curriculum vitae of one of the top businessmen in the world. Right now, according to the latest estimates, Perez is worth just under two billion dollars while his construction company, Grupo ACS delivered a revenue of 16 billion dollars in 2008. Money is not a problem. Even in these tough economic times, Florentino can walk up to any bank in Spain, ask for a loan, and be given what he wants. This is an X Factor few can compete with. His aura helps. Having met him for the first time last month, it was clear that here was a man who knows what he wants and how to get it. He doesn't take anything less than the best. Just ask the six managers he hired and fired in his six years in charge at Real Madrid during his first term as president. His total investment of $365 million this summer raised eyebrows, but he is convinced that it was the only way to put Real Madrid back in its rightful place (in his perspective) as the world's top club. Now, he is hoping, or should I say expecting, the high-profile stars he has invested so many resources in, live up to their price tags and bring back some silverware to the Santiago Bernabeu. Will they do it? Well, fortune is said to favor the brave, so would you bet against Real?